For anyone that has listened to the show for a while, you know that goal setting is a big part of our lives. We have goals for real estate, other businesses and personal lives that we set every year. The reality is that unless you frequently check your goals you're not going to be successful. Even more important is sharing those goals so that you can be held accountable. 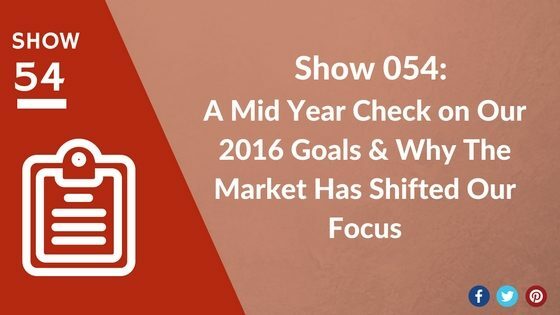 In Show 54 we take some time to do a 'mid year check' on our goals that we set and shared with you at the beginning of 2016. Despite having some minor distractions- the birth of our wonderful daughter Anna- we discuss how we are doing on our journey to our goals and how we have shifted some of them to meet more of what we see fitting in our real estate journey.